I’m back! After out-of-town training that took me away for several days I have returned! And what a day to come back to all of you wonderful fans with! Rush. This latest trailer for Ron Howard’s next film focuses not only on the Formula 1 racing, but also a bit more on the character of real life racer James Hunt (played by Chris Hemsworth). This biographic film of Formula 1 champion Niki Lauda stars Hemsworth along with Olivia Wilde, Natalie Dormer, Daniel Brühl and many others and tells Lauda’s story of triumph and testing. Look for the race to the Oscars to begin with this rush on September 27, 2013. I Declare War. A movie all about summer war games among a group of young friends…only this set of war games is far from just imaginary as it gets out of hand one day. This film, reminiscent to some of Lord of the Flies received plenty of attention at film festivals and looks to be full of fun and grabbing moments. Look for war to begin in a theater near you soon. Out of the Furnace. Christian Bale stars alongside the likes of Woody Harrelson, Zoe Saldana, Casey Affleck, Willem Dafoe, Forest Whitaker, Sam Shepherd and more in this story of a man who will stop at nothing to find and protect his younger brother who has mysteriously disappeared at the hands of a local lowlife leader. Releasing on December 6, 2013, this Scott Cooper (Crazy Heart) directed film will get things heated up this winter. The Fifth Estate. The behind the scenes story of renowned WikiLeaks founder Julian Assange and his colleague Daniel Domscheit-Berg. Their quest to expose the truth and the damages it caused are the focuses of this October 11, 2013 release that stars a very blond Benedict Cumberbatch. 12 Years A Slave. After watching this trailer, I stated “Oh man, I HAVE to see this.” Based on the true story of Solomon Northup, a free black man from New York prior to the Civil War who is abducted and sold into slavery. His survival and hope to see his family once again is the center of this tale that stars Chiwetel Ejiofor, Michael Fassbender, Brad Pitt, Paul Giamatti and many many more. Look for this historically based film in the fourth quarter of the year. Breaking The Girls. Another “girls with a murderous plot gone wrong” story as two college students make a deal to kill one another’s enemies. Emotions run high and jealousy and betrayal are afoot in this thriller that seeks to gain your view on July 26, 2013. How To Train Your Dragon 2 (teaser). Enjoy this delightful teaser trailer for the much anticipated sequel to one of DreamWorks’ BEST movie ever. Hiccup and Toothless are ready for adventure in more and I can’t wait to see what comes their way. But I have to wait…until June 20, 2014. Rio 2 (teaser) -Starring (vocal talents of…) Jesse Eisenberg & Anne Hathaway. Directed by Carlos Saldanha (Ice Age 2: The Meltdown). Release Date: April 11, 2014. I’m in Love with a Church Girl -Starring Ja Rule & Stephen Baldwin. Directed by Steve Race (The Beach House). Release Date: October 18, 2014. Planes -Starring (vocal talents of…) Dane Cook & Teri Hatcher. Directed by Klay Hall (Tinker Bell and the Lost Treasure). Release Date: August 9, 2013. Mandela: Long Walk to Freedom -Starring Idris Elba & Naomie Harris. Directed by Justin Chadwick (The Other Boleyn Girl). Release Date: January 3, 2014. The Grandmaster -Starring Tony Leung Chiu Wai & Ziyi Zhang. Directed by Kar Wai Wong (My Blueberry Nights). Release Date: August 23, 2013. 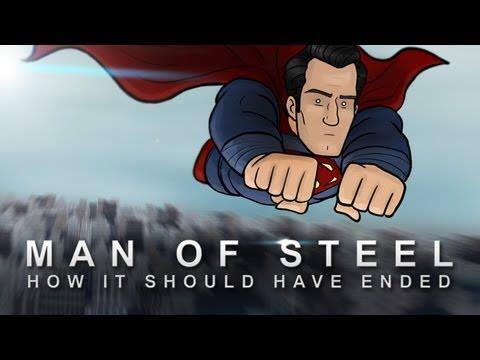 If you haven’t seen Man of Steel, then avoid this video. But if you have, enjoy this latest offering from the crew at How It Should Have Ended. These videos are always clever and this time they poke a few holes, as usual, at the plot and destruction in the film. Enjoy. Ha ha ha. So funny. 😀 I love those videos. My favorite trailers from today: 12 Years A Slave, I Declare War and How To Train Your Dragon 2. 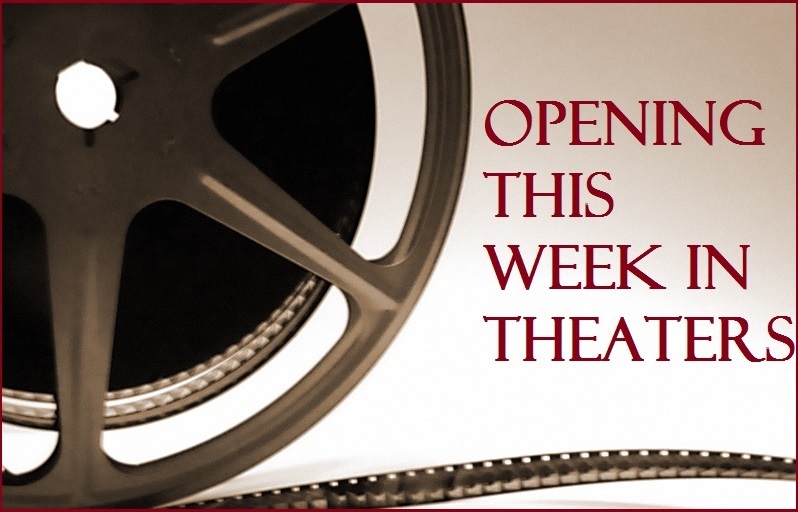 Limited Release: Girl Most Likely, Only God Forgives, Blackfish and more. Another great set, T. And that HISHE vid nails MAN OF STEEL, for sure. HISHE always does a good job and they impress with this one. Thanks for watching the trailers! I am SUPER-stoked for 12 Years a Slave. For more Fassbender goodness, go check out EW.com: they have a full trailer for The Counselor up today! thanks for stopping in and checking out the trailers. I found The Counselor trailer after you commented. Thanks for bringing it up. Fassbender is continually getting good roles, isn’t he? Welcome back T! Lots of good ones here, esp 12 Years A Slave and Fifth Estate, both starring Benedict Cumberbatch, wow! LOVE that HTTYD 2 teaser too.